Former Pulaski Academy QB Layne Hatcher is leaving Alabama and will enroll at Arkansas State University. JONESBORO, Ark. — Former Pulaski Academy QB Layne Hatcher is leaving Alabama and will enroll at Arkansas State University. Hatcher confirmed his decision to THV11's Hayden Balgavy Monday night. 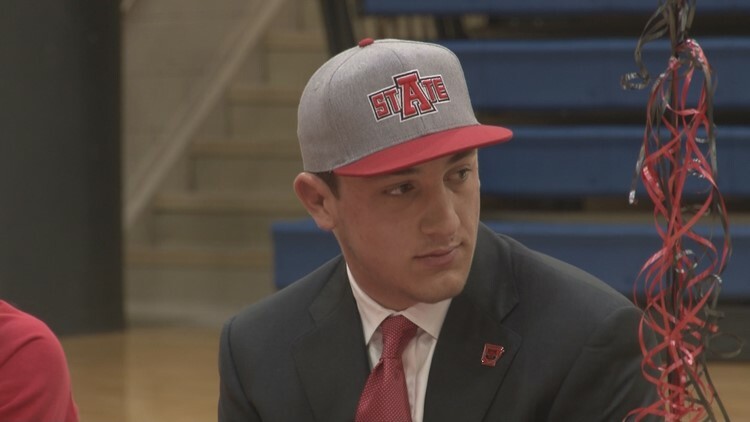 Hatcher originally committed to A-State but never signed a NLI before signing with the Crimson Tide in May of 2018. Hatcher red shirted his only year in Tuscaloosa.